Kenyan giants Gor Mahia hosts Rayon Sports of Rwanda in the CAF Confederation Cup Group D rematch at Kasarani Stadium Sunday with eyes fixed on making the quarter-finals. Gor are buoyed by an impressive domestic run that has seen them ward off competition for the Kenyan Premier League title and will be gunning to replicate the good form against the troubled Rwandan outfit. A point from the tie will see Gor, who are the group leaders, make history as the first ever Kenyan club to qualify for the round of eight in any of the CAF interclub competitions in the modern era. 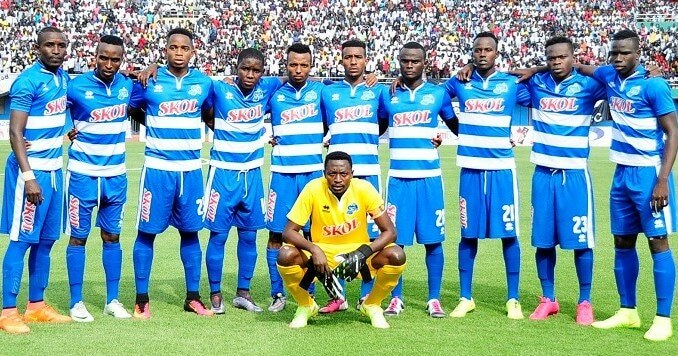 The first leg in Kigali ended in a 1-1 draw. Meddie Kagere, who has since crossed over to Tanzania’s Simba SC scored for Gor while, Eric Rutanga leveled for the hosts with a delicious free-kick. Rayon’s skipper Thierry Manzi is fancying an upset in Nairobi to keep them alive in the group heading into the final round of fixtures where they will meet Young Africans of Tanzania. “We need to believe that we can reach the quarterfinals because when you to the calculations, the chances are still there. We have to work hard and make sure we drop no point in the two games left,” Thierry said. Rayon have been dogged by a series of troubles in the lead up to the crunch tie. It began with CAF bans and fines on three of their players, Yannick Mukunzi, Christ Mbondi and goalkeeper Kassim Ndayisenga for their role in the fracas that ensued after their game against USM Alger in Algeria. Rayon, who relinquished their league title to arch rivals APR, then blew away their remaining ticket to continental football next season by losing to Mukura Victory Sports in the Peace Cup final. As if that was not enough, the coach Roberto Oliveira’s side, who are apparently broke, could not secure flight tickets to Nairobi in time and will arrive late on Saturday ahead of the Sunday game. The team was reportedly planning to take a road trip to Nairobi via Kampala, Uganda to cut cost. The uncertainty attracted CAF’s wrath, fining them $3,000. With Kassim banned for the next two matches, Rayon will only carry one goalkeeper, ex-Bandari custodian, Abouba Bashunga to Nairobi. The team’s remaining goalkeeper, Gerrard Bikorimana, was not registered with CAF for the games. According to sources, central defender Abdoul Rwatubyaye will be put on standby incase the unexpected occurs and Abouba cannot play. Meanwhile, Gor coach Dylan Kerr has made it known that his target is to reach the semi-finals of the tournament, reach the final of the Kenya’s domestic cup and defend the Kenyan Premier League. “My target is to reach the CAF Confederation Cup semis, to make it to the final of SportPesa Shield and at the same time retain the KPL title,” the Englishman said. Gor are already in the quarter-finals of the domestic cup and are two wins away from defensing their KPL glory. The Sunday match will kick-off at 7.00pm Kenyan time.